Leonard L. Riskin is Chesterfield Smith Professor of Law at the University of Florida Levin College of Law. He previously served at the University of Missouri as Director of the Center for the Study of Dispute Resolution and Professor of Law. He has taught both dispute resolution and mindfulness around the world. Professor Riskin has a J.D. from New York University School of Law and an LL.M. from Yale Law School. He has worked as an attorney in the U.S. Department of Justice and as General Counsel of the National Alliance of Businessmen in Washington, D.C. A practicing mediator, he also has published several books (including the co-authored Dispute Resolution and Lawyers (Westgroup 4th ed. 2009)) and numerous articles on dispute resolution (in some of which he developed the “grids” of mediator orientations—facilitative-evaluative/broad-narrow), several articles on the potential contributions of mindfulness to law and mediation practice, and personal essays in popular publications, such as the New York Times Magazine and the Atlantic monthly. He has won CPR Institute for Dispute Resolution Awards for his writing and for his work to integrate dispute resolution into law school curricula. This is the complete interview by Robert Benjamin with law professor Leonard Riskin filmed as part of Mediate.com's ' Views from the Eye of the Storm' Video Series. Leonard Riskin explains narrow and broad problem definitions by a giving an example of settling a case where there was a breech of a business contract. A narrow problem definition sees a legal process whereas a broad problem definition allows more room for thinking about other causes of the conflict. Leonard Riskin saw certain unahappiness in law schools that he linked to the adversarial process of settling disputes. Instead of a win-lose scenario, he attempted to help lawyers see and use mediation as a way to open their minds to a more positive process that would satisfy parties' underlying interests and needs. Len Riskin describes how mediation has integrated within legal practice: it has sparked collaborative law, a promising enterprise, but it also led to court-based mediations, which he believes are legalistic and adversarial instead of reaching mediations highest potential of bringing parties together. 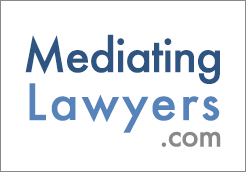 This Article begins with a review of previous efforts to categorize mediation and their shortfalls, including the lack of any widely-shared comprehensive method for describing the various approaches to mediation practice. The Article then offers a new "grid" system for classifying mediator orientations, strategies, and techniques and describes the potential utility of the grid, particularly its effectiveness in selecting mediators. Negative emotions can impede good negotiation, especially good interest-based negotiation. Positive emotions can foster good negotiation. This article integrates Fisher and Shapiro's "Core Concerns System" with the author's ideas about mindfulness in mediation. Leonard Riskin describes how his family life of never expressing anger later led to his interest in people who did express anger and conflict. He believed that much conflict came from miscommunication, but now realizes there are many causes. Leonard Riskin speaks of a foundational purpose that ended up laying out his career for him. His goal was to help teach lawyers to deal better with conflict. Leonard Riskin describes his earlier struggle with holding back what he believed to be the answer in a conflict and letting the parties come up with their own creative solution. He credits his training for helping him overcome that urge to impose what he believed to be the best solution. Leonard Riskin discusses mediating with mindfulness. He emphasizes the importance of the mediator being aware of his/her thoughts, emotions, and sensations that may arise which can affect the mediation. Mediate.com has surpassed my optimistic predictions for its development. It is a unique and essential part of the field, brilliant innovation. Complete hour-long interview of Leonard Riskin by Robert Benjamin.